Fosterers are people who look after a cat at their home until a suitable, permanent home can be found and are an important part of the branch's rescue work. We often have cats needing to come in for rehoming and not enough room to take them all, so you could make all the difference. If you work or have other pets, you can still become a fosterer. Some fosterers have pens in their garden (similar to those in a cattery), other fosterers keep their foster cat in a dedicated room inside their home. If you have previously lost a cat and decided not to own one again, fostering allows you to enjoy the company of cats but without the grief of loss or bereavement. Instead, you will have the joy of seeing them go to a permanent, loving home, knowing that you helped them in their time of need. The reasons cats come into us are many and varied. Mostly it is due to an owner's change in circumstances - the owner has moved to somewhere that doesn't allow pets, the family is emigrating, relationship breakdowns and divorce, a family member has an allergy, or the owner has died or gone into a care home. Some cats are just simply 'unwanted'. Each cat has a different personality, and a different history, and will react differently to being fostered. Sometimes they have been through ordeals that you may never know about, other times you know exactly what they've been through, and yet others will simply have come from a loving home, and just be bewildered as to why they have lost their family. There can sometimes be medical or behavioural problems to overcome. A caring fosterer can really turn their lives around for the better. Every fosterer makes a huge difference to the lives of these animals, keeping them safe and healthy until they are permanently adopted. Undoubtedly, the biggest benefit to fostering is that you are helping an animal who has fallen on hard times towards a better future. Sometimes this can be the first time in its life that the animal has felt safe, cared for and loved. The feeling of achievement when a nervous ex-stray finally comes up to you for a fuss, after maybe weeks of shying away from human contact, is wonderful. If you ever felt you wanted to make a real difference to an animal's life, then please consider fostering. When your foster cat goes to its permanent home it will be bittersweet, especially if it has been a tougher case (i.e. working to bring out a shy cat) as well as if the cat has been with you a long time. It's almost heartbreaking and you may wonder why you put yourself through the heartache... until the next needy cat comes in and you're reminded of exactly why you foster, because they need you. If you feel that fostering is right for you, and live within postcodes LU1 – LU7, then please contact the branch. Once you have spoken to us, if you decide to proceed, the Welfare Officer/Coordinator will come to visit you at your home. 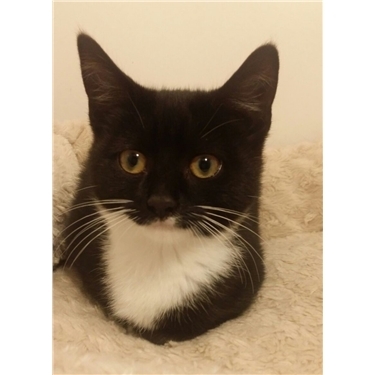 This is to assess where you would keep the foster cats, and also the area around to ensure the safety of the animals, making any recommendations where needed. This is also your opportunity to ask questions or to raise any concerns you have about fostering. We will also arrange for you to speak with other fosterers, their experiences can help you to decide. Cats Protection will provide everything you need, all you provide is commitment and love.